As we hurtle towards the end of another year, we sit here reminiscing about our travel adventures of the past and what we want to start planning for the future. For now however, the equipment we need for the new season must remain tucked away in storage, but now is the perfect time to check everything for wear and tear and make a list of things to do before your next big camping trip. 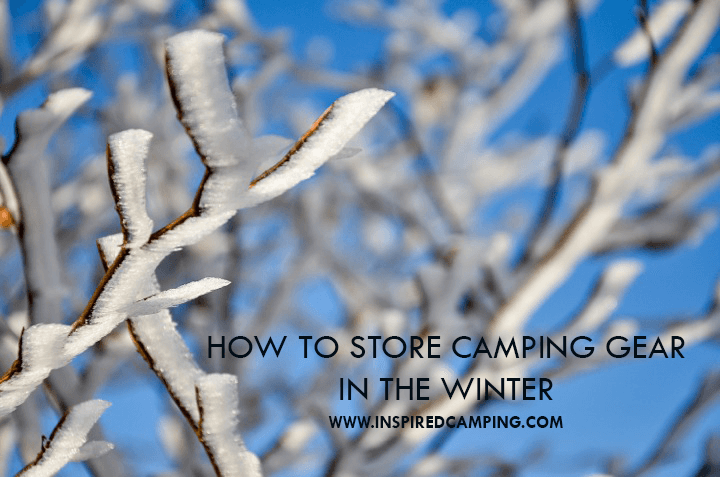 To help you we have shared our best tips on how to store camping gear, with lots of helpful ideas for your tents, caravans and camper vans. If you have a tent, now is the time to mend those tent poles, guy lines, ground sheets, zips or to patch that canvas. You may want to re-waterproof the material and seams with the relevant sealant too. Spreading the tent out in a dry place to do this will also help remove all moisture, which is essential before storage. Mould and mildew is the risk you take if you don’t dry everything thoroughly before packing it away for the winter. If you have a fabric tent, make sure it has dried for a few days before you roll it up loosely for winter storage. If possible, it should be stored in a dry place away from possible rodent damage. A good tip for a camper van or caravan is to store some barbecue briquettes in a bucket. These naturally draw the moisture in from the surrounding air helping to keep your unused space dry and odour free, ready for the summer. If you have any battery-powered gear, make sure you remove batteries before you store them away. Leaking battery acid can completely destroy a gadget or cause significant corrosion. If you have a camping stove, remove and fill the gas container and clean all the burners. The smell of food fragments will attract rodents and increase the risk of mould and stains, so before you pack your kitchen equipment and storage boxes away, make sure they have been cleaned thoroughly. Now is also a great time to replace any missing implements you wish you had on your last trip. If you have a caravan or a camper van, take the time to check the MOT, get it serviced, replace worn tyres and parts and fix any breakages in the living areas. It is also wise to have a habitation test to ensure all appliances are safe. To prolong the life of batteries and tyres, make sure you start the engine regularly and move it slightly so it doesn’t rest in the same place on the rubber for too long, which will cause cracks. Always make sure the right anti freeze is used to top the engine and windscreen washer fluids. Give the vehicle a clean and a wax to help protect it through the worst of the weather and consider sealing large ventilation holes to prevent rodents taking up residence. If you spot any damp patches this may give an indication of water getting in, so make sure you arrange repairs before major damage occurs. Empty all unused water systems including, drains, toilets, combi-boilers, fridges, etc. This will help with the freshness and dampness of a space and will avoid costly repairs from split frozen pipes. If you have a leisure battery and gas bottles, consider topping them up, then removing them to store somewhere safe and dry.